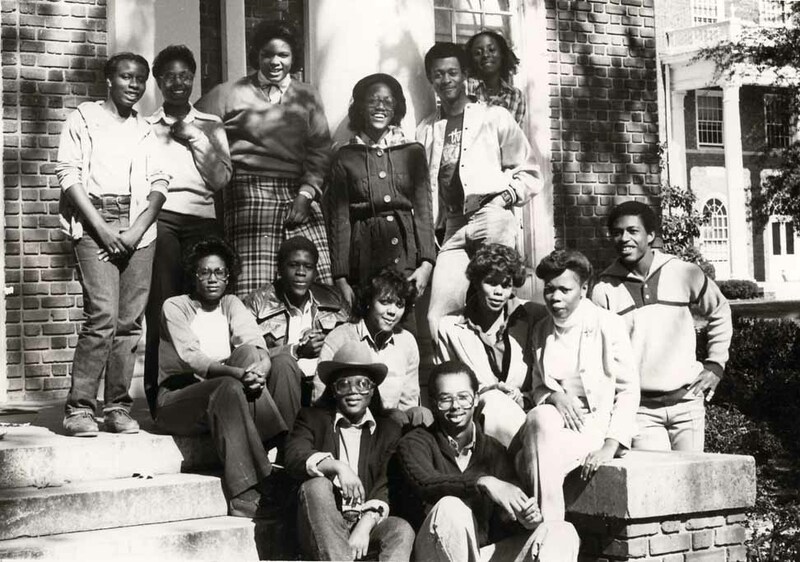 The Black Cultural Society, created by Elon’s black students under the advisement of campus minister Professor Steve Caddell and Dean William G. Long, was the first student organization at Elon to specifically address the concerns of black students. Its purpose was to “promote understanding and a sense of unity among Black students; encourage Elon College to achieve a greater awareness and appreciation of the culture and achievements of Black people; attack with vigor all injustices and inequalities that may exist on the campus of Elon college with respect to Black people; and support and assist in any way possible the communities immediately surrounding Elon College.” Membership was open to all regularly enrolled full or part-time students. The first BCS chair and co-chair were Rodney Evans ’75 and Don McLaughlin ’76. This entry was posted in Alumni, Student organizations and tagged Black Cultural Society, Black History Month. Bookmark the permalink.